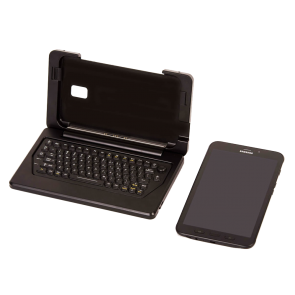 iKey’s IK-77-FSR is a compact and mobile keyboard that is designed for efficient use in military applications, emergency vehicles, warehouse and factory environments. The IK-77-FSR can also be mounted into forklifts or other work vehicles. 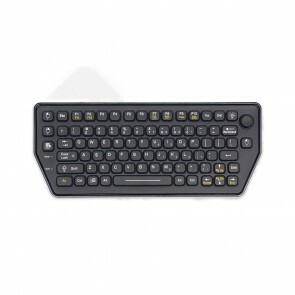 The BT-870-TP dual connectivity rugged keyboard. Connect with USB or Bluetooth®. 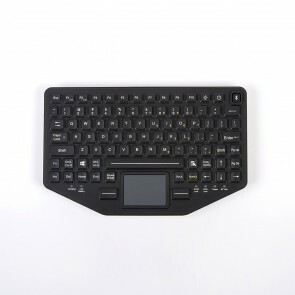 This keyboard has a built-in touchpad and is made of industrial silicone rubber. 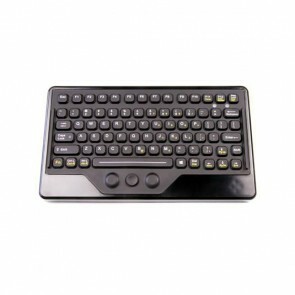 The BT-870-TP-SLIM keyboard by iKey is our new dual connectivity keyboard. Connect with USB or Bluetooth®. 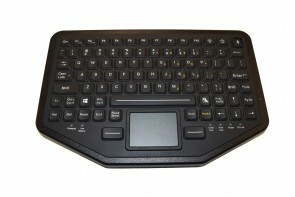 This keyboard has a built-in touchpad and is made of industrial silicone rubber. This keyboard is the thinner profile version of our new BT-870-TP keyboard.